Relax after a long day of exploring Manatí, Puerto Rico in our spacious rooms. You’ll love the 42" HDTV, Cozy Corner with sofa or sofa-sleeper, and bathroom vanities with granite countertops and complimentary amenities. This ADA-compliant guestroom includes two queen-sized Hyatt Grand Beds®, accessible roll-in shower, and numerous ADA-compliant amenities and features. 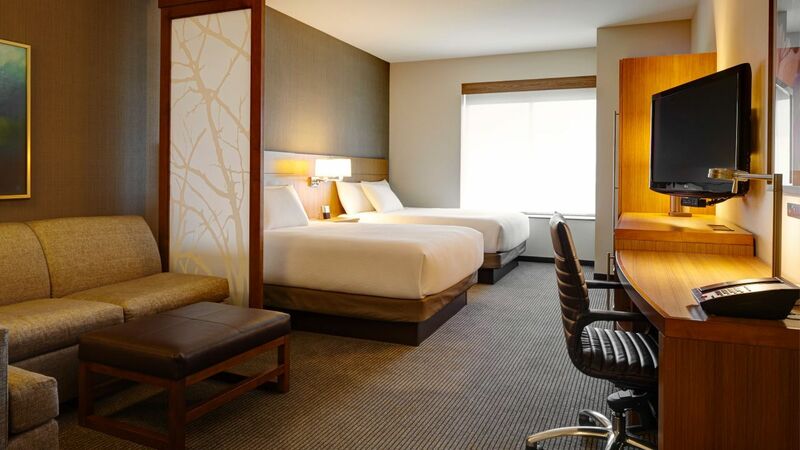 Enjoy our high floor spacious guestroom with separate sleeping and living areas, including one king Hyatt Grand Bed® and our Cozy Corner with sofa sleeper. Enjoy our high floor spacious guestroom with separate sleeping and living areas, including two queen Hyatt Grand Beds® and our Cozy Corner with sofa sleeper. Our rooms always feel roomy with separate sleeping and living areas, including two queens Hyatt Grand Beds® and our Cozy Corner with sofa sleeper. 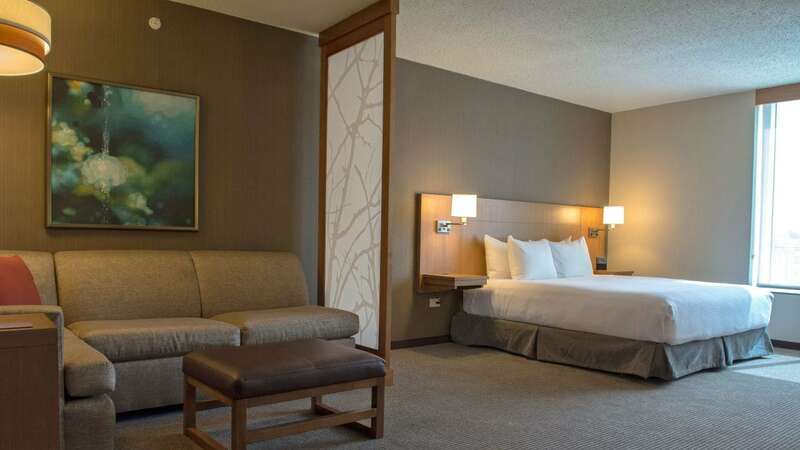 Our rooms always feel roomy with separate sleeping and living areas, including one king Hyatt Grand Bed® and our Cozy Corner with sofa sleeper. Enjoy even more room in this 750-sq. ft. suite featuring a separate bedroom and living area, including one king Hyatt Grand Bed, and oversized sofa sleeper.